If you've ever been severely startled, you likely remained jumpy for some time after the fright. It turns out, your immune system is the same way. And, unfortunately, if you "scare" it too badly, it may never fully recover to a calm state. Some of the ways you can trigger your immune system are obvious - a bacterial infection, for example. 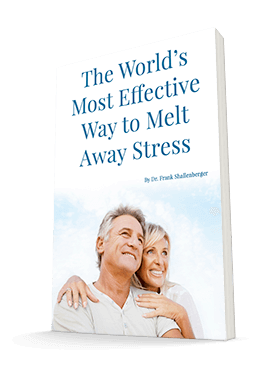 But researchers at the University of Bonn have found that we can trigger our immune system in the same way with something many of us do at least weekly. We all know that fast food isn't good for us. But we often rationalize our consumption of it, telling ourselves that we choose healthy foods most of the time or that we'll clean up our diets eventually. But this research indicates that even if "eventually" really does come, it may be too late - the damage to the immune system could be permanent. 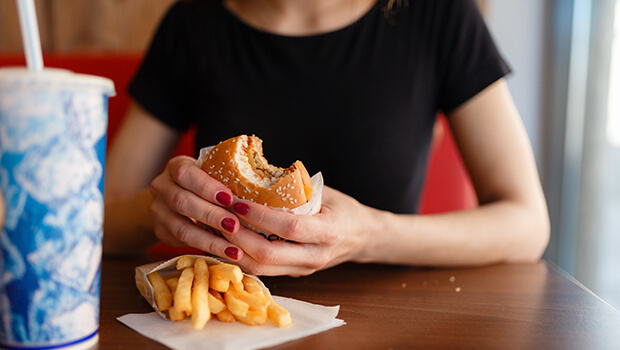 By conducting mice studies, the researchers found that exposure to unhealthy foods (particular high-fat, high-sugar, low-fiber options characteristic of a fast-food-heavy Western diet) triggers inflammation, an immune system response. This isn't surprising. But what is concerning is that exposure to these foods seems to make the immune system more aggressive, a response similar to the one the body experiences after a serious bacterial infection. In the mice, eating unhealthy foods caused levels of immune cells called granulocytes and monocytes to skyrocket, thanks to genes that were switched on in the immune cells. The researchers found that if they switched the mice back to healthy food, the acute inflammation subsided. However, the genetic switches remained in the "on" position in the immune cells. The immune system remained poised for an attack, even when a threat wasn't imminent, a state that experts call "innate immune training." The researchers even found that the immune system's response to the unhealthy food was changing the way it packaged genetic material, causing the system to react even more strongly to insignificant stimuli. The problem with acute inflammation and these changes to the immune system are that they can increase your risk of type-2 diabetes or vascular diseases like arteriosclerosis. As plaques accumulate in your arteries, inflammation can make them worse, potentially leading to blood clots. So if you know you've been eating a typical Western diet for years, your blood vessels might need some extra help. On Tuesday, I told you about Advanced Natto Formula, which can help clear out the plaques and keep your blood flowing properly. And while this research indicates that the damage to your immune system might be done if you've been eating a fast-food-heavy diet for quite some time, it's still a good idea to stop. Fast food contributes negatively to your health in a variety of ways, and replacing a combo meal with healthy, unprocessed foods (especially vegetables) will help you stop making the problem worse and give you antioxidants, fiber, and other nutrients that can get to work repairing some of the damage.